I am happy to announce that with the amazing support of Team Dignitas I am able to bring you a spotlight of the Team Dignitas Starcraft 2 team! Over the week (begining 17/12/12), I will be casting games from one of Dignitas' players each day, along with an interview of the player. This will provide an insight into both the players game and their personality! 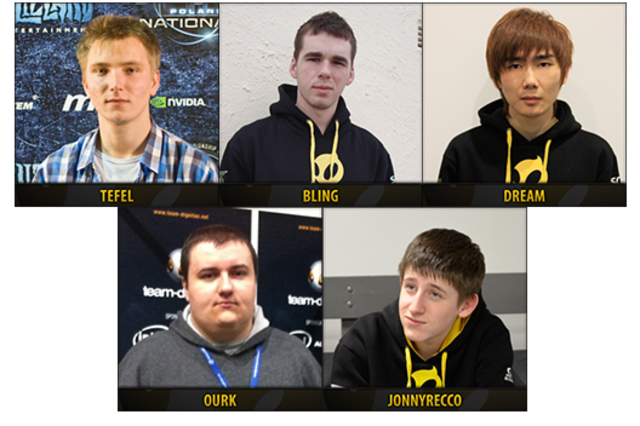 Team Dignitas was formed in September 2003, after the merger of two excellent Battlefield 1942 teams. The new ‘Dignitas’ Battlefield team went on to be very successful and after attending CeBIT (2004) we held discussions with ABIT and within a few months we had secured their first sponsor. Attending events all over the world on a regular basis in a variety of eSports titles, Team Dignitas has spent its lifetime sending its players to as many events as possible. With support of sponsors such as Intel, Alienware, Scan, Soundblaster and more they work tirelessly to stay fresh and at the top of their game. It is not only gameplay where they excel but content too providing guides and blogs around all aspects of eSports and gaming. In this section, you will find all the games I have cast for this week sorted by the players. All were cast from the latest replays direct from the players and uploaded to my youtube channel "SC2 England"
Below is a link to each of the players interviews that have been done for Dignitas Week by Definitive eSports. For those of you who don't know me, I have been casting SC2 for the past year and have over that time managed to go above and beyond my "game a day" target for youtube! 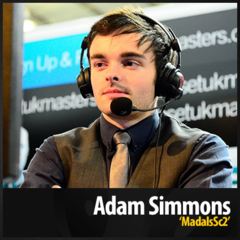 As well as running the youtube channel "SC2 England" I have also had the opportunity to cast many show matches, weekly tournaments and live events such as the UK's Insomnia gaming festival. Want to keep in touch with all the latest goings on? Connect with us or check out the various websites etc! Hope you enjoy the week, let us know your thoughts on both Dignitas week and Team Dignitas below! p.s. Due to their busy schedule of live events / Lans, KiLLeR and Bischu unfortunately did not have access to recent replays. I know you took a lot of time to prepare this and it'll be good to see BanKs doing interviews to accompany it. Things like this are always good for a small scene like the UK one and these players deserve the attention, not to mention it can be good for you. This'll be interesting. Dignitas is not a team whose players are particularly well known so it will be nice to see them get a bit of publicity. I've been noticing Ourk more and more lately in the HOTS Beta :D cool stuff. Select- Never forget =[ But this is awesome- I have not seen much of JohnnyRecco recently so this should be good. Don't know why Apollo isn't casting this, maybe he's busy on these days, but he's easily the second best caster out there, if not the best, and he's on your team. He'd bring a lot of people. Will be letting you all know who is the first player tomorrow! I'm going to be honest I haven't really followed dignitas since SeleCt retired, but I will try to watch this week! GL!